A lot of mechanically defective motor vehicles are being driven around on the roads of Port Moresby because traffic police were not doing enough to curb such abuses according to Deputy Police Commissioner and Chief of Operations Jim Andrews. 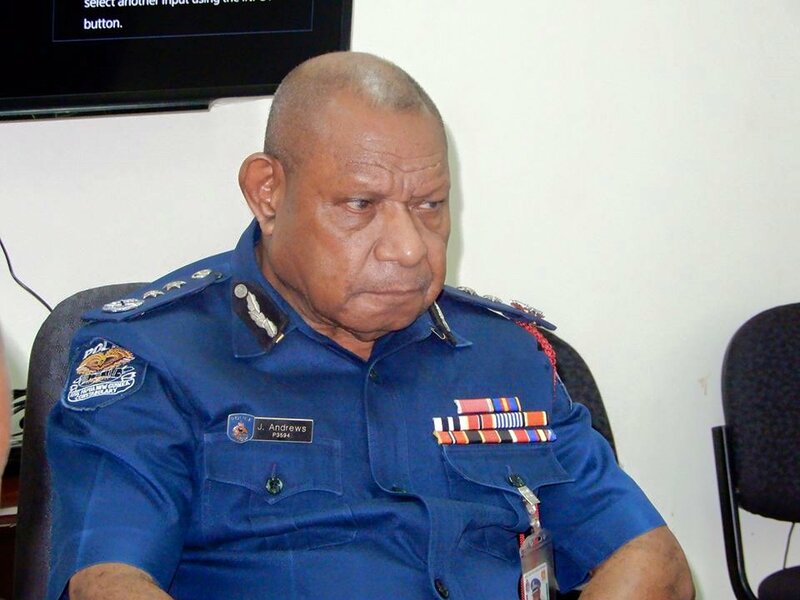 DCP Andrews said this while cracking the whip for Traffic Police to restore order on the streets of Port Moresby. In a briefing today at Police headquarter, the Police Chief demanded for members of NCD Traffic to shape up and clamp down on the high rate of abuses and accidents caused by ignorant and defiant motorists. He said, a lot of defective PMVs are being driven at night without lights posing a serious threat to the lives of other road users within the city. He said, apart from the presence of unregistered and defective motor vehicles, basic traffic rules and regulations were not observed, and this he said was causing a culture of chaos and confusion especially during peak hours. In most cases, shabby PMVs with wobbly seats, smooth tires, worn out springs and shock absorbers were being driven and used in the city’s transportation system. He said in some cases, taxis were operating with two sets of registration plates. The DCP said he witnessed a taxi driver removing the yellow plate and replacing it with a white civilian number plate at Boroko. The offender he said, was arrested. “I am sure this is just the tip of the iceberg. A lot of similar cases are being perpetrated but traffic police are not detecting nor investigating such abuses.” A concerned DCP Andrews said today. He said properly sanctioned road blocks must be set up, more traffic infringement notices (TIN) should be issued and more arrests made to curtail the increasing number of traffic infringements occurring along the city’s road network. He said the development of new road infrastructure and network around Port Moresby city, is giving rise to the importation of more vehicles and road users, thus increasing the need for greater traffic police mobility and operability. He said the Constabulary is envisaging on the possibility of increasing its capacity in Traffic Policing but in the meantime, NCO’s should work within their means and devise workable strategies to counter these problems. According to DCP Andrews, at least twenty recruits passing out of Bomana Police College will be deployed to NCD Traffic each year and trained to become specialists in the various portfolios within the Traffic division. “We will train more of these pass-outs and adequately equip them so they can, in turn, curb the high rate of traffic offences in the city.” He said.